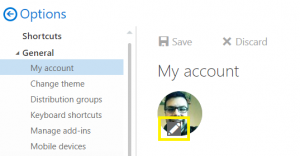 How do I Update my Contact Information or Picture in Outlook? 2. Click the ⚙️ gear icon to open Settings, then click Options. 3. In the left navigation pane, click General, then click My Account. 4. Make the necessary changes, then click Save. Click the small pencil icon below to update your picture. Your picture must be under 500KB in size and the recommended dimensions are 648×648 pixels. 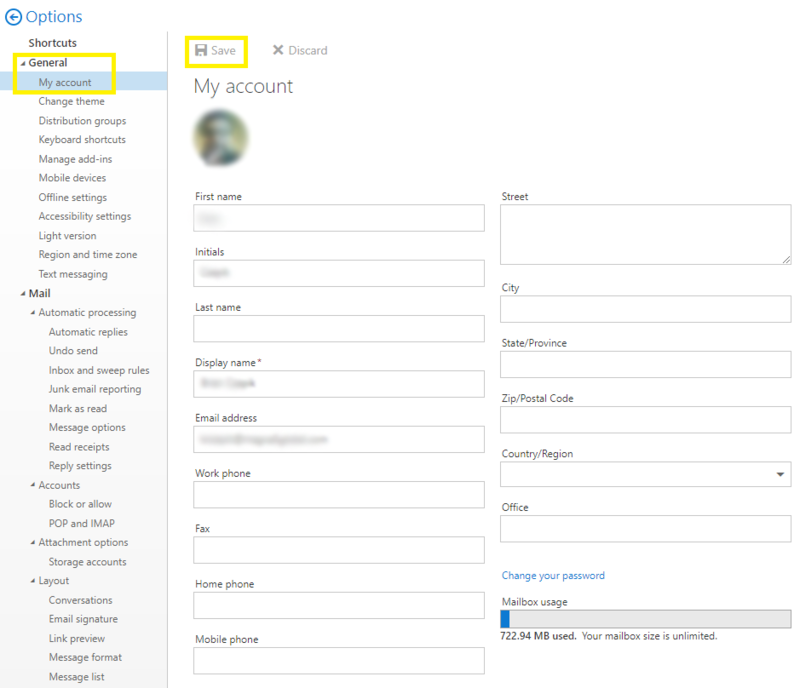 Populate the contact information in the fields shown below. 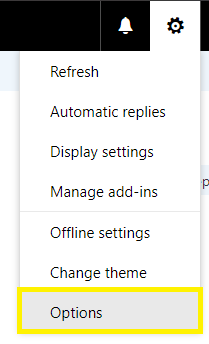 How do I change the Automatic Accept or Decline of Meeting Requests in Outlook?